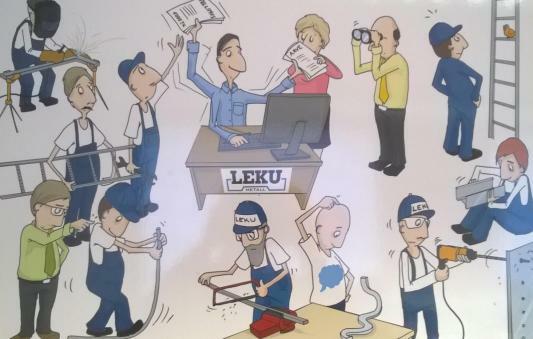 Leku Metall OÜ is registered in the business register on 12.05.1992. The company’s main area of activity is the production of metal auxiliary materials for electrical works. The company has two main product categories. The first category consists of hot galvanised and powder coated (if necessary) sheet metal products: cable ladders CL2, luminaire support trays CT75, cable trunking PK60, cable covers LKK and AKK. The second category consists of hot-dip galvanised black metal products: cable access chamber consoles SKO, outdoor luminaire holders VVK, outdoor luminaire poles VVM, overhead cable traverses KT and PAS. The entire production is manufactured by the company. Powder coating and hot galvanisation services as well as some of the transportation services are outsourced. In 1997, the company purchased a warehouse at Jaama 6 with the purpose of constructing a production building. In 2003, the production was moved from rental spaces to the renovated office and production building at Jaama 6. 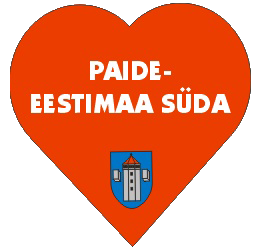 In 2006, the company received co-financing from the company infrastructure support programme of Enterprise Estonia for the Jaama 6 sites project, during which the transport link between the Jaama 6 territory and Jaama Street, the in-building parking lot of Jaama 6 and the storage area of Jaama 6/8 were reconstructed. In 2007, an automated professional line was built for cable ladders CL2, luminaire support trays CT75, and cable trunking PK60 in cooperation with Desfactory OÜ and Inmet OÜ. This significantly reduced the need for work force and enabled to considerably increase production capacity. In 2009, the company started cooperation with Airok OÜ for the sale of industrial and household gases. In 2010, cable ladders CL4, luminaire support tray CT75.4 and cable trunking PK60.4 prepared with the hot-dip galvanisation method and corresponding to the requirements of corrosion class C4 were added to the production. In 2011, a home page, which is based on a content management system, was prepared in cooperation in Awerk Data OÜ with the purpose of providing more precise information about the company and its production. In 2015, sheet metal cable ladders CL5, luminaire support tray CT75.5, and cable trunking PK60.5 that correspond to corrosion class C5 were added to the production. In 2016, outdoor luminaire holders VVK60 with the diameter of D60 and cable trunking UKK were added to the production in relation to the development of LED lighting. In 2018, the programme Ozz 3 Ladu was taken into use in cooperation with Laansoo & Trussmann OÜ for a more effective organisation of the production process. All that’s meant to be from metal, good men can make it ready.